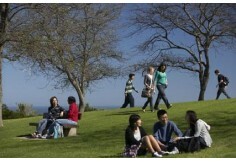 An agent from Flinders University, will contact you shortly with more information. The overall aim of the Bachelor of Business is to provide students with the skills and knowledge necessary to pursue a successful career in business, while also catering for students who might wish to pursue careers in the public sector which require business skills. In particular, the Bachelor of Business aims to provide students with: * a knowledge and understanding of fundamental business concepts and practices, including accounting, economics, statistical analysis, the role of management, and strategic management; * the opportunity to develop specialist knowledge and skills across a range of professional business-orientated fields, including marketing, human resource management, international business, entrepreneurship, and business economics; * the opportunity to undertake studies in other allied fields, such as a language, legal studies, computing, public policy and commercial law, thus further enhancing the scope for students to pursue specialist careers with a business orientation; * an understanding of public policy issues as they relate to business and the opportunity to acquire the skills and knowledge necessary to analyse these public policy issues. * the opportunity to develop a range of broader skills highly valued by the business community and the public sector, including strong analytical skills, the ability to think logically and clearly, good interpersonal skills, and the ability to communicate effectively in a business environment, both verbally and in writing. Learning outcomes Students successfully completing this course should be able to: * demonstrate a clear appreciation of the broad economic and social environment in which business operates; * contribute effectively to carrying out the core administrative and managerial tasks necessary for the successful operation of a business; * undertake a range of specialist administrative and managerial tasks within a business, depending upon the area(s) of study in which they have specialised (eg marketing, human resource management); * effectively apply analytical skills, relevant theory and logical thought to the decision making processes within a business; * communicate effectively in a business environment, both verbally and in writing. Prerequisites: None You can qualify for undergraduate courses through: * year 12 qualifications * mature age entry (STAT) * TAFE/VET qualifications * higher education transfers. 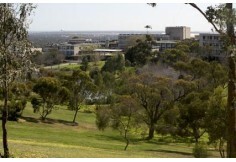 Flinders also offers a range of special access schemes. The Bachelor of Business will teach you to understand the world of business and will provide you with the foundation skills and knowledge necessary to pursue a successful career in business. * add a second major that matches your interests. This course will help you develop the practical skills employers are looking for, including strong analytical skills, high-level problem solving skills, the ability to communicate effectively within a business environment, and team-working skills. Refer to the program of study. Why study Business at Flinders? 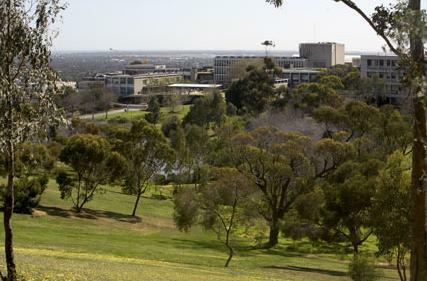 *The Flinders Business School offers a unique approach to business teaching, research and community service in South Australia. * Our staff have the academic qualifications, combined with a wealth of practical experience and a proven international research record, which enable us to provide business degrees which are recognised by professional bodies and highly valued by public and private sector employers. * We are at the forefront of research into some of the key contemporary issues impacting upon Australia's economy, including social and environmental accounting, ecological economics, corporate social responsibility, philanthropy and ethics. Other areas of strategic focus include electronic commerce, small enterprise management and Australia/Asia business relations. * Our graduates enjoy high employment rates for positions in accounting, finance, and business-related professions, both nationally and internationally. Refer to Business combined degrees for further information. The Bachelor of Business requires three years of full-time study (or the equivalent part-time) and the honours degree an additional year (or the equivalent part-time). 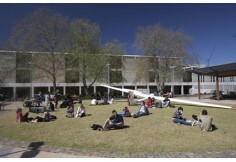 The course is offered by the Flinders Business School, in the Faculty of Social Sciences. Enrolment in the honours program may be offered to a student who meets certain academic criteria and subject to the school/department being able to provide appropriate resources and staff to supervise the program of study. Applicants who are offered a place in Business will be given the option of taking up one of the above combined degrees at enrolment, providing they meet the entry requirements for the other degree. To qualify for the Bachelor of Business a student must complete 108 units with a grade of P or NGP or better in each topic. This must include 30 units of core topics and two 33 unit majors, as specified below. At least one of the majors must be a Business major, included in List A below. The second major may be either another Business major from List A or a cognate major from List B below. To complete the 108 units, elective topics may be selected from any offered by the University, provided course and topic prerequisites requirements are met. A minimum of 27 units, but no more than 45 units, of First Year topics is to be included in the 108 units. Not all topics necessarily are available in a given year. # Students who choose Business Economics and International Business as their two majors must undertake an additional 6 units from the optional topics listed for either of these majors, to compensate for the fact that BUSN2011 is a required topic in both majors. * To take this topic a student must have taken BUSN2015 Marketing Management as an elective. #Students who choose Business Economics and International Business as their two majors must undertake an additional 6 units from the optional topics listed for either of these majors, to compensate for the fact that BUSN2011 is a required topic in both majors. Students must complete a second major, which may be either a second Business major (List A), or one of the major sequences listed below. Other major sequences listed under the course rule for the Bachelor of Arts may also be chosen as a student's second major, but only with the permission of the Chair of Course Management Committee or nominee for the Bachelor of Business. Elective topics may be selected from any offered by the University, provided course and topic prerequisite requirements are met. First Year topics listed in more than one major can be counted towards two majors, but upper-level topics can only be counted towards one major. Except with permission of the Faculty Board the course must be completed within 10 consecutive years or, where credit has been granted for previous work, a period determined by the Board. The award of a grade of Fail (F) in the same topic on more than one occasion may constitute prima facie evidence of unsatisfactory progress for the purposes of the University's Policy on Student Progress. 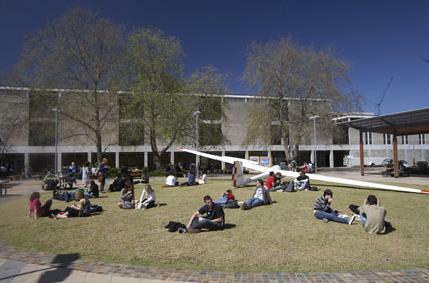 A student who has completed all the requirements of the Bachelor of Business, or another qualification which the Faculty Board agrees is equivalent, may be accepted as a candidate for the honours degree providing a sufficiently high standard has been achieved in fulfilling the requirements for the bachelors degree. plus 12 or 18 units of electives as approved by the BBus(Hons) Coordinator. Students must undertake Honours in one only of the following areas of Business specialisation: Business Economics, Entrepreneurship, Human Resource Management, International Business, Marketing, or any other Business specialisation which may be included in List A of the Ordinary Degree of Bachelor of Business. However, a student's chosen area of specialisation for the Honours Degree of Bachelor of Business is not required to be the same field as the List A major(s) which the student has included in his or her Ordinary Degree. Honours topics offered outside the school may be undertaken with the permission of the BBus(Hons) Coordinator. * The Dean of the Flinders Business School may approve substitution of an alternative research methods topic of the same weighting, offered elsewhere in the Faculty of Social Sciences.